You may decide to save a little money and pack it yourself or you may realize that you really don’t have the time to box up all your household belongings; in this case the moving team should be happy to do it for you. As you walk into their office be aware of how the employees speak to you. Do they seem knowledgeable and friendly? How long has the company been in business? Do they have any certificates or accommodations hanging on the wall? Can they produce any documentation that you request? How experienced is their staff? Do they have many long term employees is the turnover rate unacceptable? They should be able to inform, educate and advise their clients on the best possible course of action to take to ensure a smooth transition. Every relocation project is unique and the Miami moving company you hire needs to be tuned in to your special needs. Almost every agent will provide packing materials and supplies from boxes to packing paper to tape and labels. Movers that are truly interested in helping you will take the time to sit down with their clients, answer their questions and alleviate any fears that they may have. Does the provider that you chose give you honest answers to your questions? 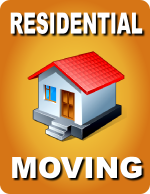 Cost is normally one of the major considerations when deciding which moving firm to hire. Ask every company that is a serious contender for your business for an estimate. These should be free and they should be willing to come out to your residence and give you an onsite price quote. Prices will vary but exclude any ridiculously low bids, they may possibly be trying to lure you in with low prices only to gouge you later. Always make certain that your estimate is guaranteed in writing and you are protected by a “price quote cap”. This price is to never be exceeded regardless of what happens during the move. In the end, the company that you choose should be able to provide you a personalized moving experience. Do not even consider candidates that are not fully licensed, insured and bonded within their state. Some of the top of the line moving companies can also provide storage for you if you if you feel that this might be an option you need to explore. Whether or not you need your moving company to do it all or do the bare minimum, local or long distance, the time and effort you put into finding a respectable moving team will be well worth it.